BROOKINGS, SD – General Mills and South Dakota State University (SDSU) announced the opening of a state-of-the-art oat variety development lab on the Brookings campus. The Oats Research Laboratory will focus on advancing the sustainability and quality of oats in the U.S. The new collaborative oat research laboratory, housed in the Young Brothers Seed Technology Building, includes labs, greenhouses and access to field trials. General Mills agronomists and plant breeders will work alongside the university’s plant science department comprised of plant breeders, grain scientists, seed experts, environmental scientists, field station managers and student researchers. Together, their efforts will focus on improving the nutritional qualities of oats; developing better performing oat varieties with higher yields; and helping farmers improve agronomy practices to increase sustainability. South Dakota is a natural fit for the lab because the state was ranked second in U.S. oat production in 2015 and the public breeding program is one of the mainstays of South Dakota’s agriculture experiment station. Oats, unlike other commodities like corn and soybeans, do not benefit from large scale private or commercial breeding programs. In addition, oats are a critical part of the crop rotation in the state, providing soil health benefits, reducing soil erosion, requiring fewer inputs and no irrigation water while producing a nutrient rich product. 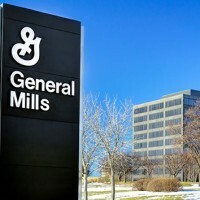 Oats are at the core of General Mills’ business, with more than 600 products in the company’s U.S. portfolio containing oats. In fiscal 2015, 25 percent of the company’s U.S. retail sales volume comprised products containing whole grain oats. Since 1941, the company has brought the power of oats to consumers when Cheerioats were introduced – the first ready-to-eat cereal made from oats, now better known as Cheerios. As one of the largest buyers of North American oats, General Mills hopes that partnering with the top researchers and agronomy students at SDSU will enable the company to improve the quality and supply of oats, and increase the profitability of the crop for U.S. farmers. Founded in 1881, South Dakota State University is the state’s largest, most comprehensive school of higher education. SDSU is a land-grant institution and is home to the South Dakota Agricultural Experiment Station which has an enduring mission of practical, responsive research to help improve the farms and ranches, businesses, and lives of South Dakotans. SDSU confers degrees from six different colleges representing more than 175 majors, minors and specializations. The institution also offers 33 master’s degree programs, 15 Ph.D. and two professional programs. 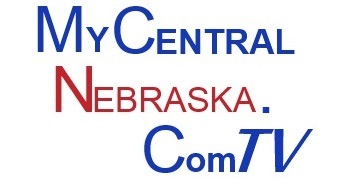 The work of the university is carried out on a residential campus in Brookings, at sites in Sioux Falls, Pierre and Rapid City, and through SDSU Extension offices and South Dakota Agricultural Experiment Station research sites across the state.